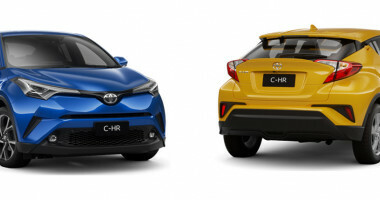 Sleek and stylish, Toyota C-HR is eye-catching from every angle. 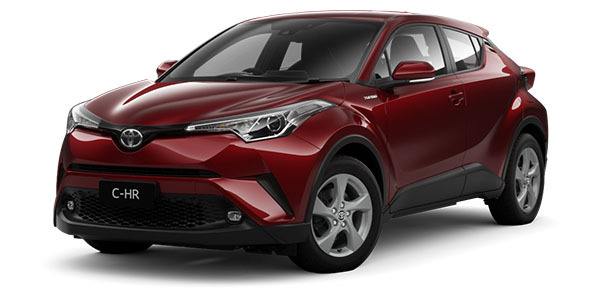 The striking diamond-facetted exterior gives the illusion of movement even at a standstill. 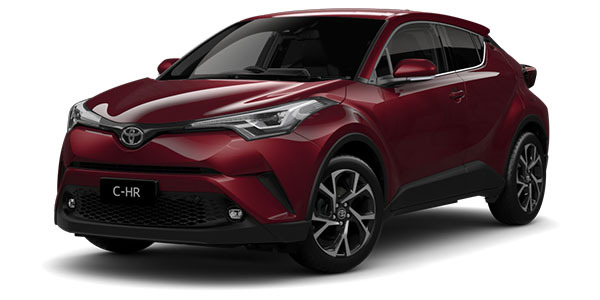 Large wheels and strong lower body styling give a powerful lifted feel, while hidden rear door handles and a swooping roofline create a sleek side profile. 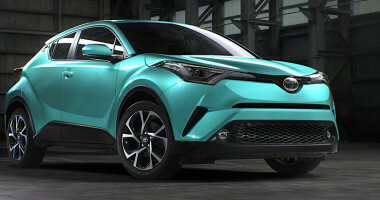 This is a car that can’t help but turn heads. 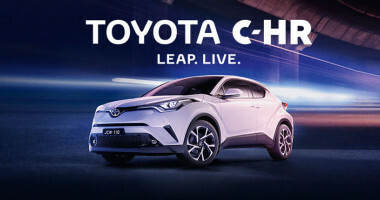 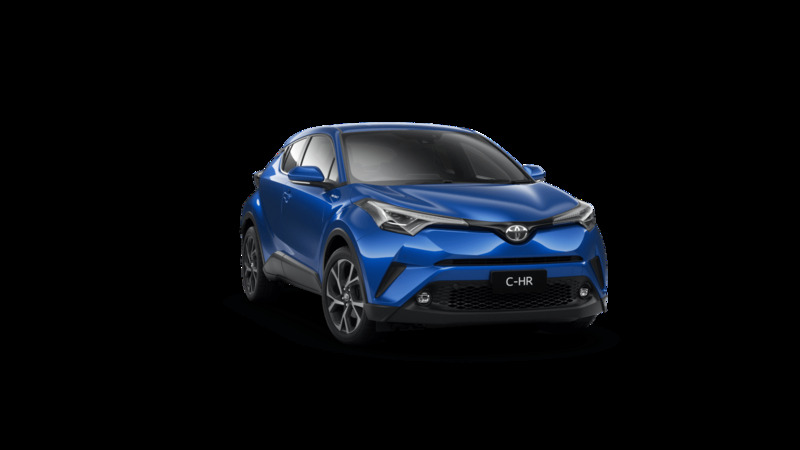 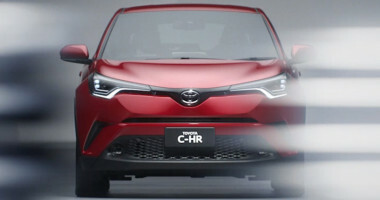 Toyota C-HR is equipped with a 1.2L turbocharged petrol engine that delivers all the power you'd expect from a larger, normally aspirated engine. 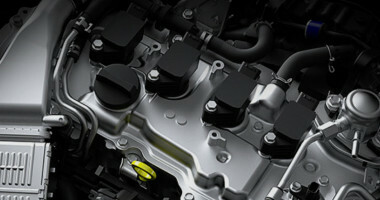 Direct injection, a water-cooled turbo and expanded intelligent variable valve-timing system combine to provide higher performance levels, with lower fuel consumption and emissions. 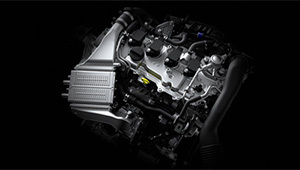 The engine also provides peak torque at significantly lower RPM, for an even greater acceleration response on the open road. 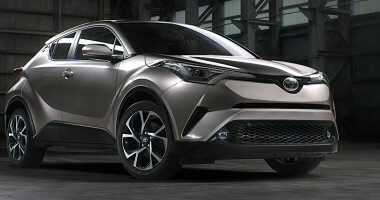 C-HR brilliantly combines beauty and brains, featuring the best of Toyota's premium technology to make every journey as effortless and comfortable as possible. 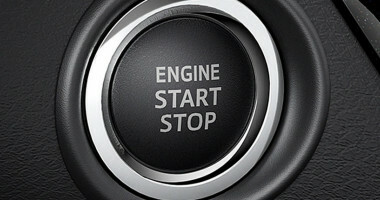 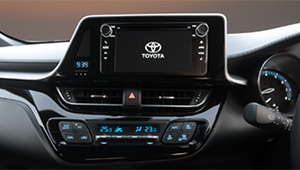 Find cheap fuel, check the weather, stream Pandora® internet radio and much more, through the 6.1" touchscreen display. 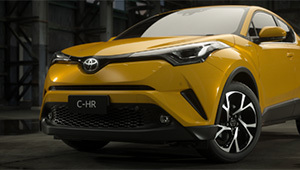 All C-HR models feature Toyota Link, an app suite available via the display when connected to a compatible smartphone via Bluetooth®. 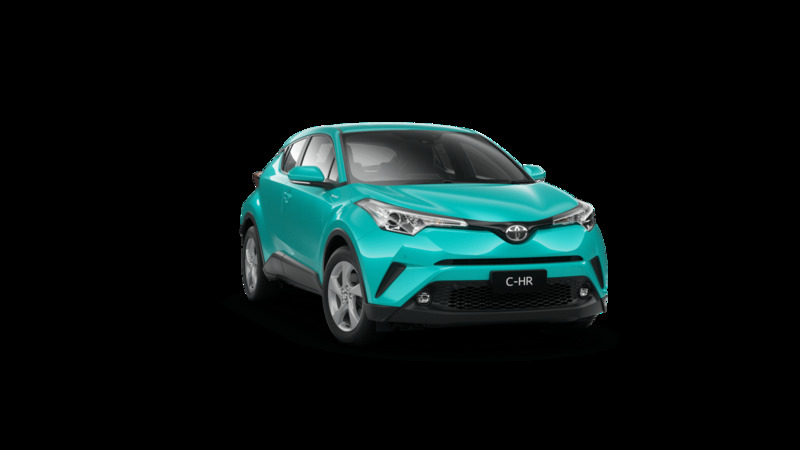 Toyota C?HR is equipped with a multitude of active and passive safety features - all working together to help keep you safe in unexpected situations. 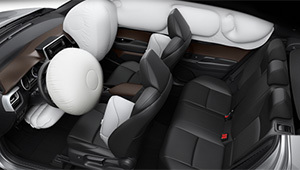 A full line up of SRS airbags come standard to minimise potential injuries. 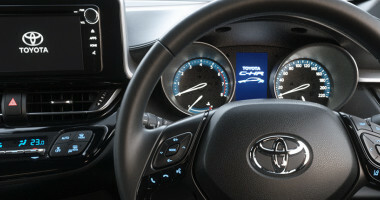 That includes driver and front passenger airbags, driver knee airbags and side curtain shield airbags.